Below are links and resources for all ages. Founded in 1963 by the State of South Carolina, SCIAA focuses on the teaching, research, and management of South Carolina's historic and prehistoric, terrestrial and underwater archaeology. As a University institute, SCIAA initiates and conducts a broad range of field and collections research throughout the state, participates in a wide range of USC activities and duties, and contributes to the University infrastructure and the USC publication series. As a state agency, SCIAA serves as the state's official repository for archaeological site data and archaeological collections generated from work on those sites. Established in 1974, for nearly 50 years, SCDNR’s Heritage Trust Program has preserved and protected natural and cultural properties across South Carolina. Heritage Trust staff, in concert with related agencies and personnel, identify and document rare plants, animals, archaeological sites and other significant features of South Carolina’s heritage. Their site provides information about Heritage Preserve Sites, educational resources, research information, and a list of relevant cultural and archaeological laws. A membership organization, the Archaeological Society of South Carolina has been in operation since 1968. Their goal is to share information about South Carolina’s archaeological heritage through their annual conference, Fall Field Day event, quarterly newsletter, and digital resources. 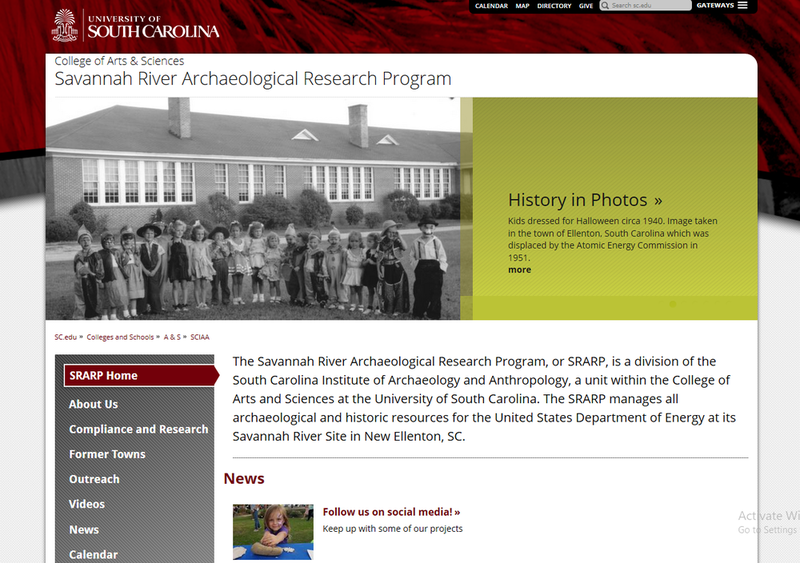 The Savannah River Archaeological Research Program, or SRARP, is a division of the South Carolina Institute of Archaeology and Anthropology, a unit within the College of Arts and Sciences at the University of South Carolina. The SRARP manages all archaeological and historic resources for the United States Department of Energy at its Savannah River Site in New Ellenton, SC. The mission of the Department of Archives and History is to preserve and promote the documentary and cultural heritage of the state through archival care and preservation, records management, public access, historic preservation, and education. The Arkhaios Cultural Heritage and Archaeology Film Festival is an annual event taking place during Archaeology Month. It is intended to be an educational event to showcase the discovery of past cultures gained from archaeological research, and illustrated by locally made documentary films. Established in August of 2012, the Center is a comprehensive center for the study of South Carolina’s Native American peoples, their histories, and their cultures offers visitors the opportunity to view the single largest collection of Catawba Indian pottery in existence; study primary and secondary texts on Native Americans in the Southeast; participate in educational classes and programs; and observe archaeology, language, and folklore and oral history labs. The Florida Public Archaeology Network's mission is to promote and facilitate the conservation, study and public understanding of Florida's archaeological heritage through regional centers throughout the state. SAA is an international organization dedicated to the research, interpretation, and protection of the archaeological heritage of the Americas. The society represents professional, student, and avocational archaeologists working in a variety of settings including government agencies, colleges and universities, museums, and the private sector. Formed in 1967, the SHA is the largest scholarly group concerned with the archaeology of the modern world (A.D. 1400-present). The main focus of the society is the era since the beginning of European exploration. 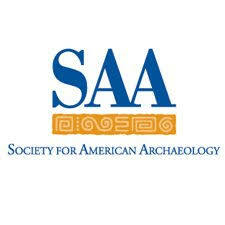 SHA promotes scholarly research and the dissemination of knowledge concerning historical archaeology. The society is specifically concerned with the identification, excavation, interpretation, and conservation of sites and materials on land and underwater. A collection of archaeology-themed podcasts that range from general interest to detailed technical discussions. 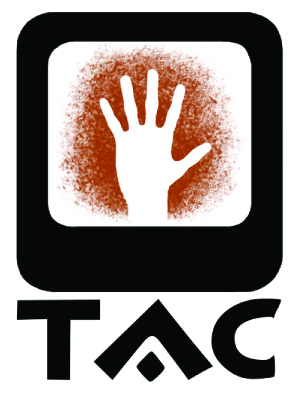 The Archaeology Channel (TAC) is a streaming media website created by Archaeological Legacy Institute (ALI). ALI is a nonprofit organization devoted to nurturing and bringing attention to the human cultural heritage, by using media in the most efficient and effective ways possible.